It is every teenager’s dream to be popular; but, it’s every teenager’s nightmare for it to unravel. Evan only knew Connor a bit before he killed himself, but because of a small brush with him, he is suddenly thrust into the spotlight. Evan finds his new bout of popularity to be a boon, until everything starts falling apart. 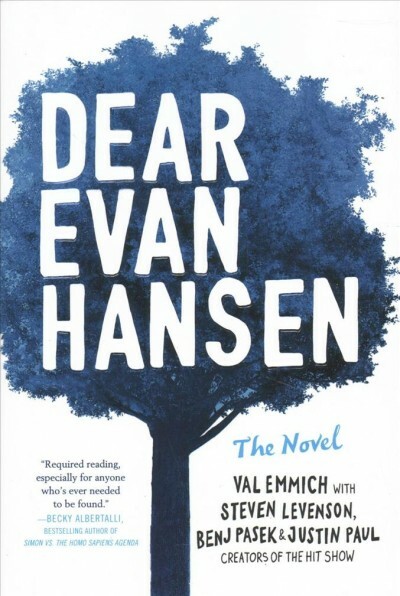 Dear Evan Hansen is a novel everyone has heard about. Due to its success as a Broadway musical, it sparked numerous debates over mental health, suicide, and teen depression. Much like the critically-acclaimed TV show 13 Reasons Why, it deals with subjects that society would rather forget. Thus, it makes for a powerful and compelling tale that forces society to come to terms with itself, and it does so in a way that is natural and personal. The novel is a strong companion to the musical and a must-read for those who have already watched the musical. The discussion it provokes about teen suicide and depression, as well as the aftermath people surrounding the victim experience, is absolutely timeless and will ring true for any era, now or in the future. The Dear Evan Hansen experience is incomplete without seeing the musical and reading the book. 4/5 stars.